The 2019 hurling league will never go down as a classic of the genre. The realignment of the groups and the lack of relegation from the top flight made sure of that. But as we head into the knockout stages, and with the summer slowly but surely coming into view, results are taking on an enhanced significance. And last weekend, the Dublin hurlers scored a rare win over Tipperary in their NHL quarter-final clash. Beating Tipp at home is usually a decent result for anyone in any era. But for Dublin, it had more significant feel. Even if the home side hit 18 wides, it meant something for Dublin who recorded their first win on Tipp soil since the 1946 win in Tipperary town, while their last two visits to Semple Stadium ended in 22- and 14-point point defeats. 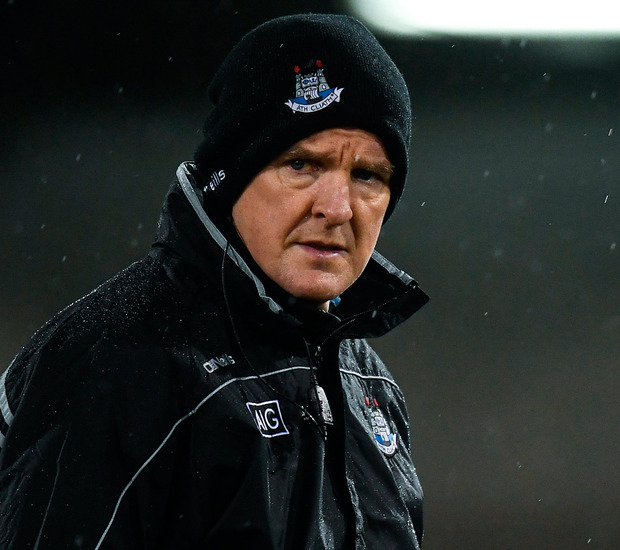 Thurles is also the ground where Anthony Daly and Ger Cunningham put down their last games as Dublin boss. But they beat Tipp and recorded a second significant win for Mattie Kenny's men since he took charge, following on from their heartening win over Waterford in Parnell Park. And since the Galway man has come in, he has looked for gradual evolution rather than revolution. Kenny recognised that under Pat Gilroy, the Dublin hurlers were close to some sort of a breakthrough. The league table of the 2018 Leinster Championship shows that Dublin won just one game - against relegated Offaly - but there was more promise to their season than that suggests. Going back through their championship defeats, they were leading in at around the 70th minute in three of them. They were also defensively sound and conceded just one goal - against Kilkenny - in those four matches. Gilroy's departure was a hammer blow but Jake Malone reckoned they needed only minor changes to make real progress. "It might have just been a game management thing, during the matches," he reflected last year. "We were in a winning position in all three games coming up to the 70th minute. Massive "It's disappointing losing those after putting in a good performance on the day, I don't think there's anything massive to be changed, we need to take what we did well in those performances and isolate what we did badly, so that when we are coming into league games, championship games, Walsh Cup games, that we know what we did wrong so we can work on those in the future. I wouldn't be able to put a finger on it exactly, a lot of small little errors." Small margins can make big differences so when Mattie Kenny came in he opted for slight tinkering with the Dubs rather than a significant overhaul. Starting life in Division 1B, they were always more likely to fly under the radar. Wins over Carlow and Offaly and a seven-point defeat to a Galway side still without a host of players due to club commitments didn't inspire confidence. However, when they survived the concession of four goals to beat Waterford a couple of weeks later and then took out Tipperary in their own back yard last weekend, it has made the rest sit up and take notice. Given that Gilroy handed out eight league debuts in the opening round defeat to Offaly last year, it's hardly surprising that Kenny is working with largely the same squad. However, he's brought through a few more, handing bows this spring to the likes of Davy Keogh, Daire Grey and goalkeeper Seán Brennan. Kenny has also managed to coax two of his former Cuala charges back in. Kerry native Darragh O'Connell is back in the fold after sitting out 2018, while Mark Schutte has been lured back to the hurling set-up. He spent the last two years with the Dublin footballers, picking up loads up silverware but precious little game-time. In all, Kenny has used 30 players in their six league games so far with 26 of them seeing starts. Some like Eoghan O'Donnell, Seán Moran and Paddy Smyth have been ever-present while others have been reduced to a single appearance off the bench. Schutte has yet to make an appearance while veteran Conal Keaney is on the road to recovery after undergoing shoulder surgery. It all sounds so promising for the Dubs and on Sunday they face All-Ireland champions Limerick in a league semi-final. Early days of course but Dublin are sailing in the right direction.